Wine, Candles and Chocolate: Many an attendee has opened the door to their guest room and been greeted by the pleasant surprise of a bit to imbibe upon and enjoy – all the while knowing that they are greatly appreciated by the organization putting on the event. 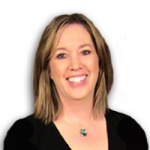 Romancing the Tone: Who but the meeting planner is able to lovingly set the oh-so-perfect tone in everything from marketing messaging to thank yous for their meetings. Say Yes to the Best: Meeting planners say more yesses than most. Yes, to creating that extra bit of comfort to an attendee in need, yes to the diet request, yes to the budgets, yes to all that makes for a memorable event. A Courting We Will Go: Meeting planners are in high demand and are continually being courted to check out cities, hotels, and resorts; potential speakers, entertainers and acts; taste testing menus and food gifts. We get the love, then we share the love. You Give Love a Fab Name: Yes, meeting planners, at the end of each event – as the attendees’ head back home, the budgets have been kept, the memories have been set and another amazing time has been enjoyed by all, love is in the air and will stay there ready for the next annual event. 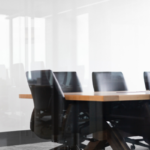 Swipe Right: It may look as if the meeting planner simply swiped right, but we and our teams and all those connected to a meeting spend enormous amounts of time and energy nurturing those lovely spaces where attendees learn, connect and grow. 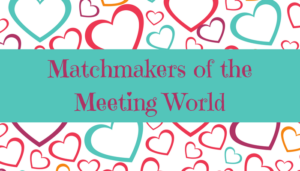 Matchmaker, Matchmaker: Meeting planners match meetings to venues (hey, I am really awesome at this! ), group sessions to workshops and speakers, banquets to entertainment and more. Though it takes a bit more time and care than shooting off a cupids bow, meeting planners hit the bullseye each and every time. Happy Valentine’s Day to you, Meeting Planner! Thank you for sharing your love!